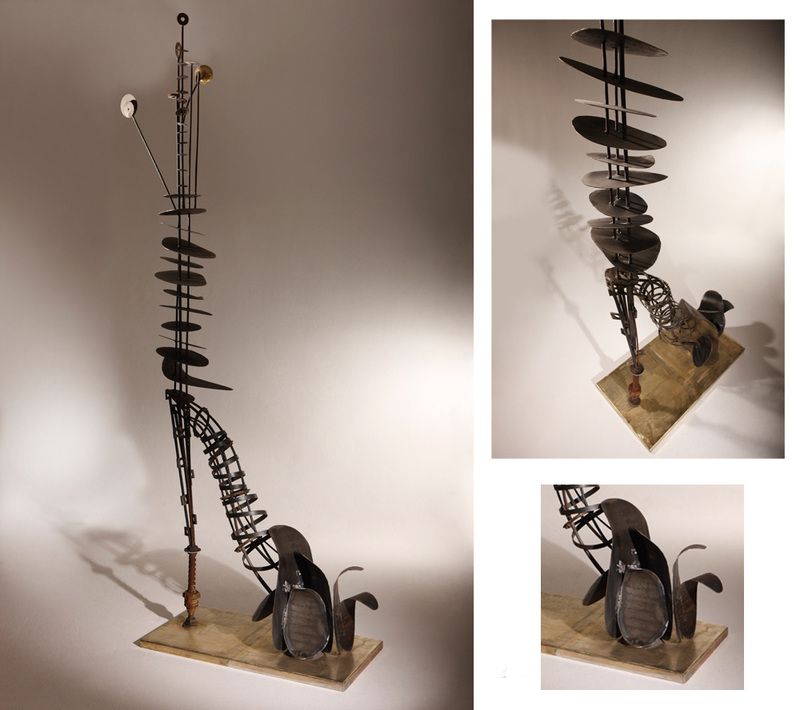 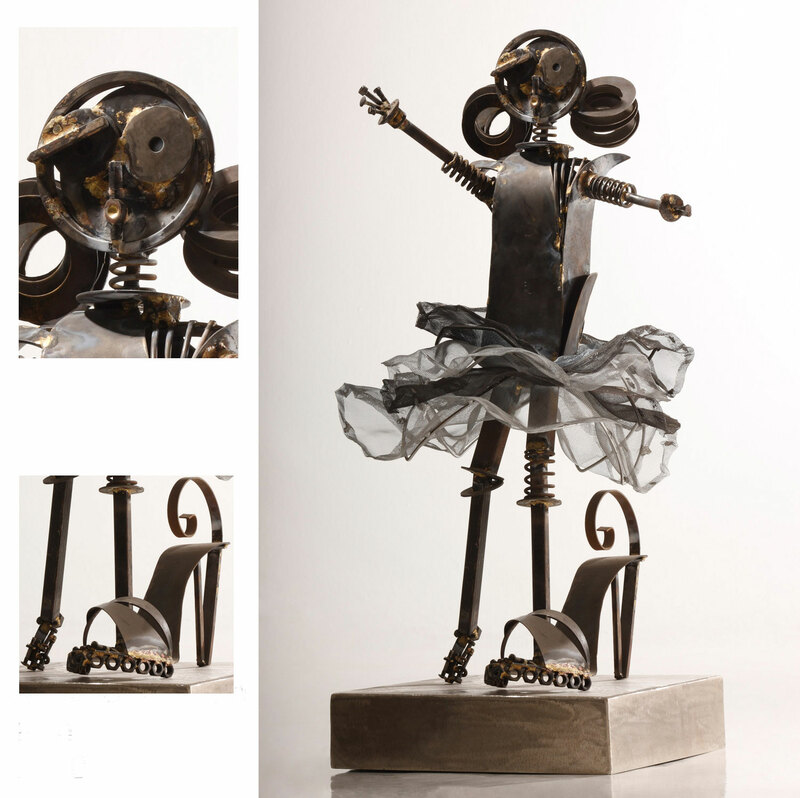 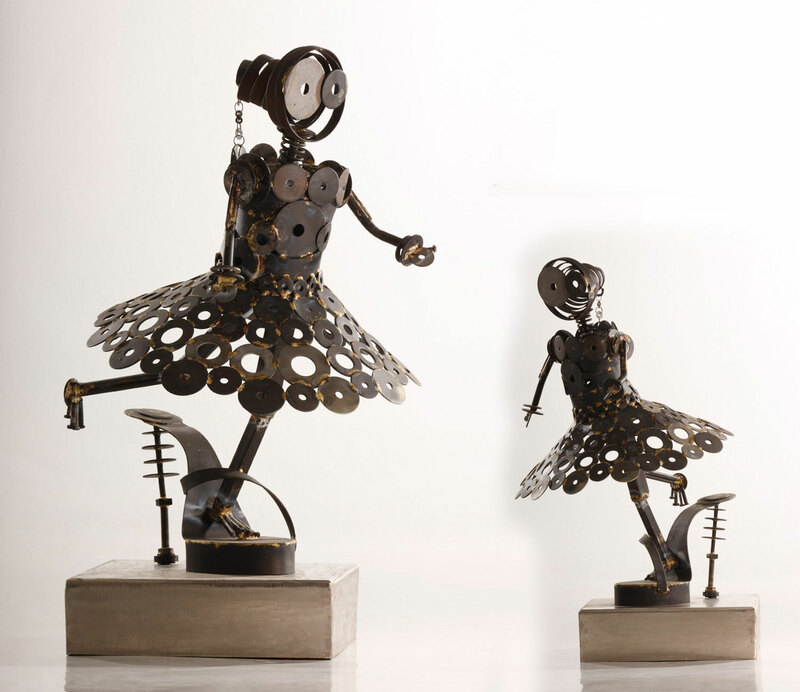 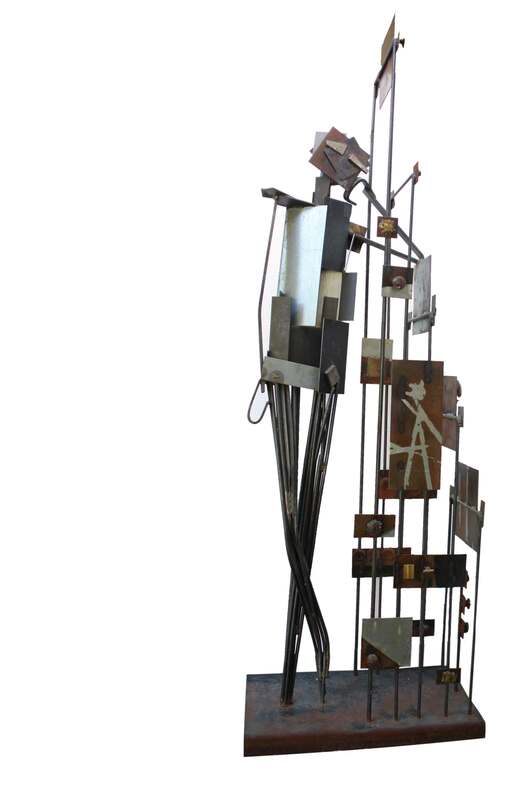 Al-Set creativity went on to reach a new concept in the metallic sculptures; the first spark of the idea started with her special sculpture that depicted the image of a small girl wearing her mother shoe. 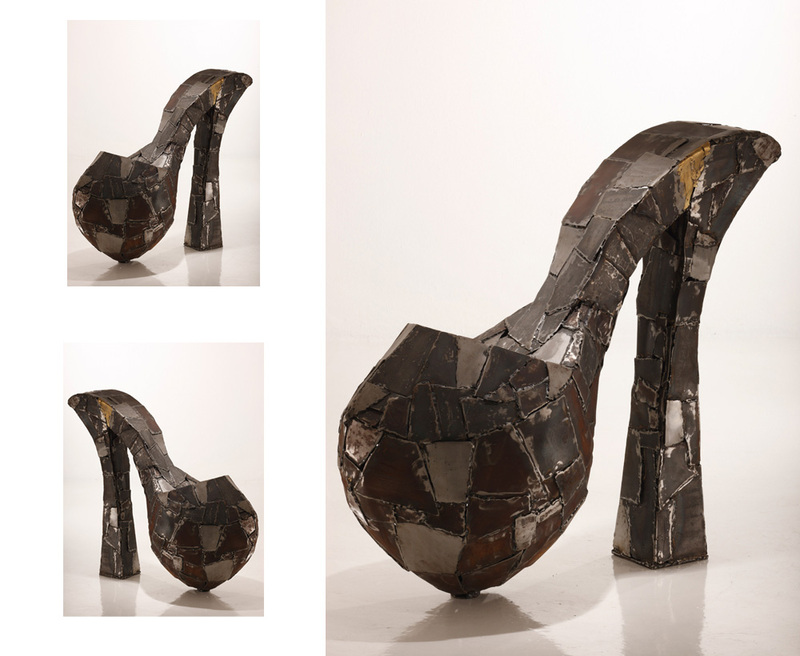 This art work found a lot of interests in the art tasters’ community, the thing that encouraged Safaa to go on the same concept to reach finally the whole “Shoe” collection. 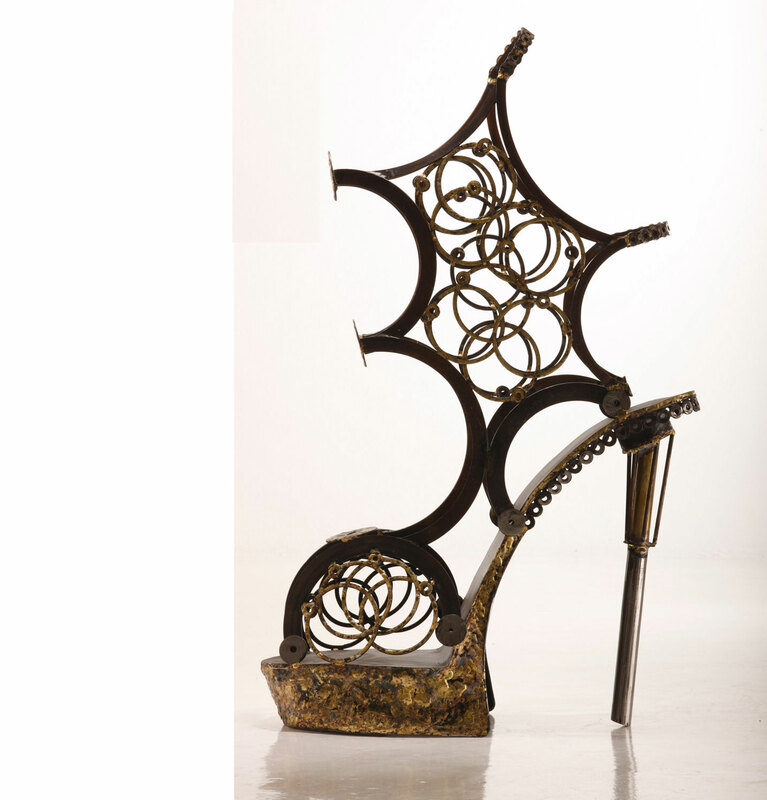 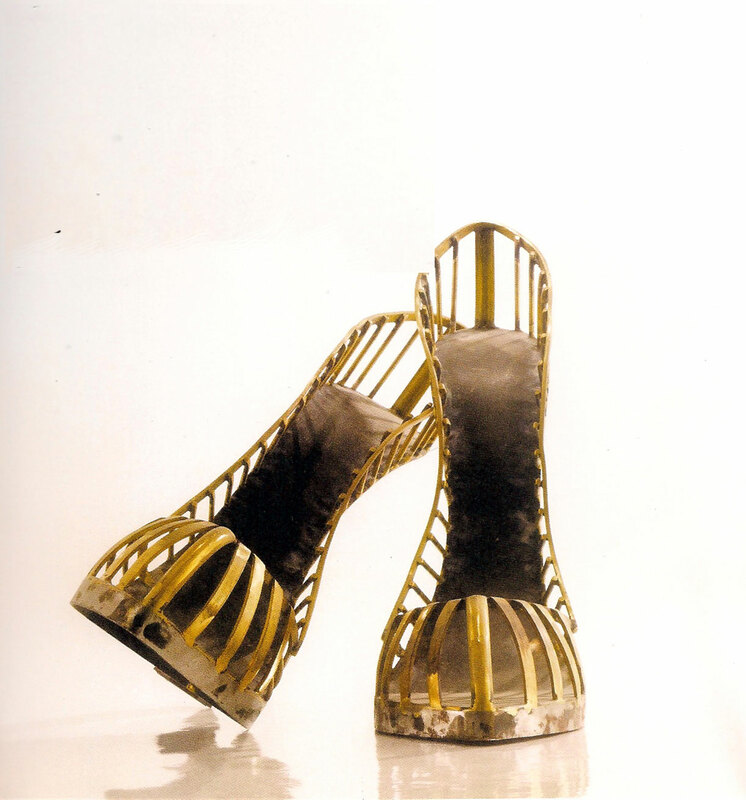 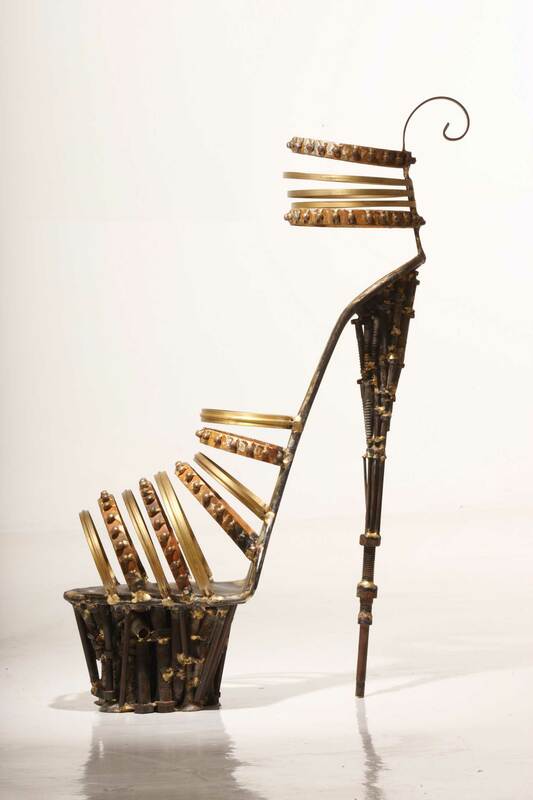 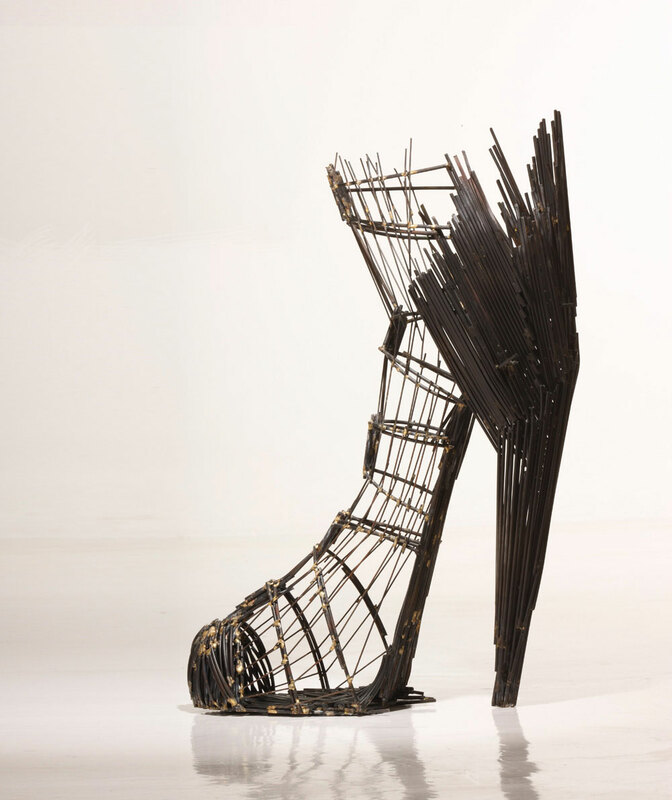 In “Shoe” sculptures, the artist could let go more of her feminine touch on her works, dealing in some artistic way, she managed to relate art with women mania in fashion and shoes. 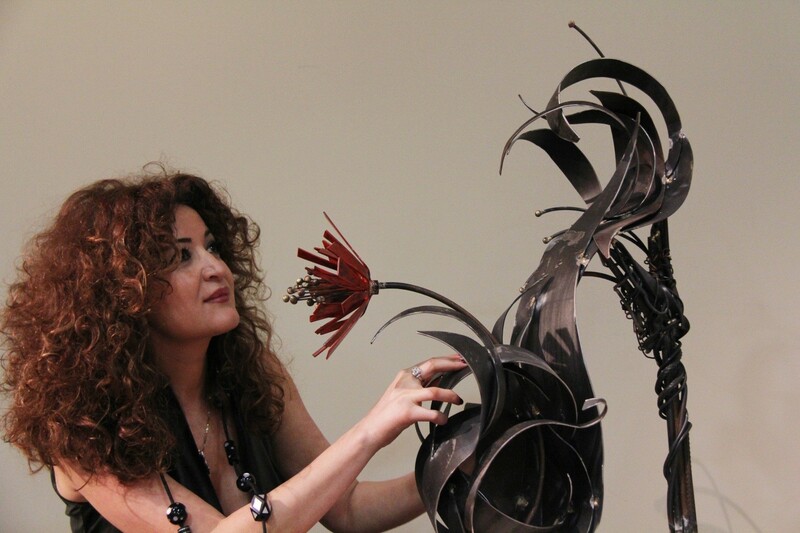 Al- Set applied on this collection all of her artistic visions with many variety in size and styles; her art work could touch the different personalities of women.